Because of His amazing love, God has equipped you with His own power so that you will have everything that you need to live a godly life. When God says everything, He means everything! Christ in you, the hope of glory will overcome every challenge that you are currently facing. 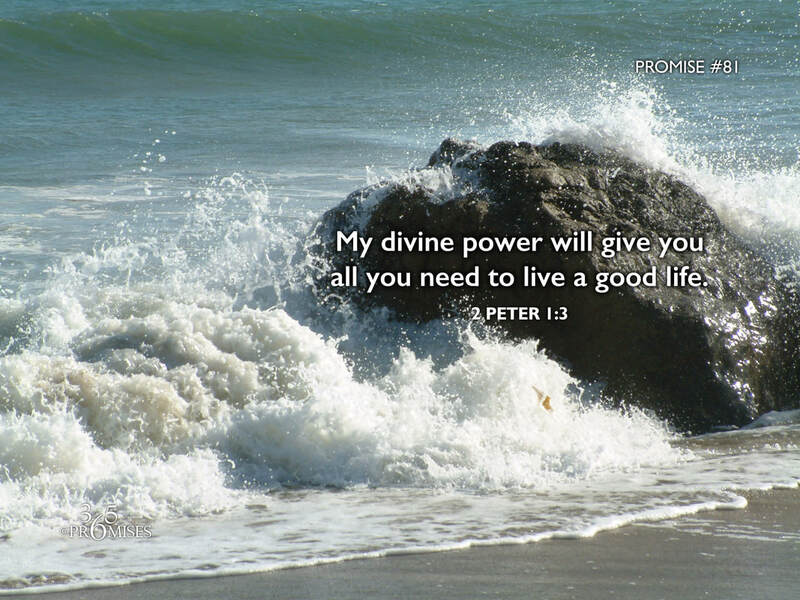 No matter how difficult your circumstances, God will empower you with His own divine power! As the Apostle Paul wrote in Romans 8:31 ...if God is for you, who can possibly stand against you? My prayer today is that each one of us would realize that whatever God has called us to do, He will give us the power to accomplish it. We have all that we need in every circumstance because of His great and precious promise to empower us to live a full and good, godly life.